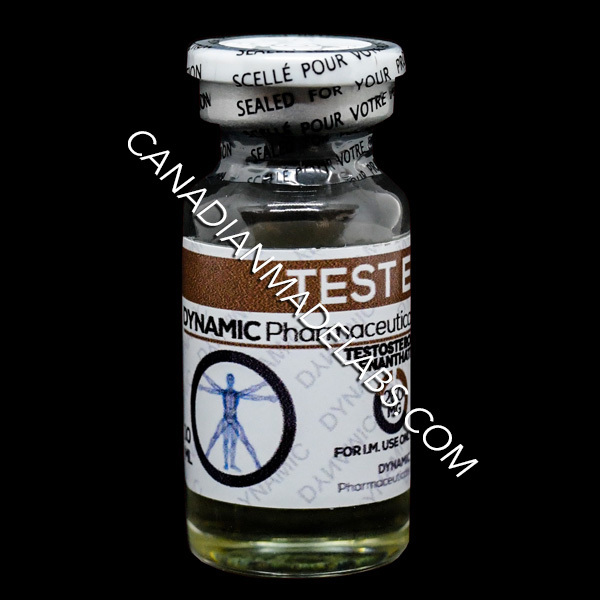 Dynamic Pharmaceuticals TEST E (Test Enanthate) is a single large ester base testosterone compound and is by far the most popular testosterone on the global market. The first batches of this compound hit the market in the late 1940s under the trade name Testoviron from Schering. This was the first large ester based testosterone available for commercial use, and it would largely replace the small extraversion. 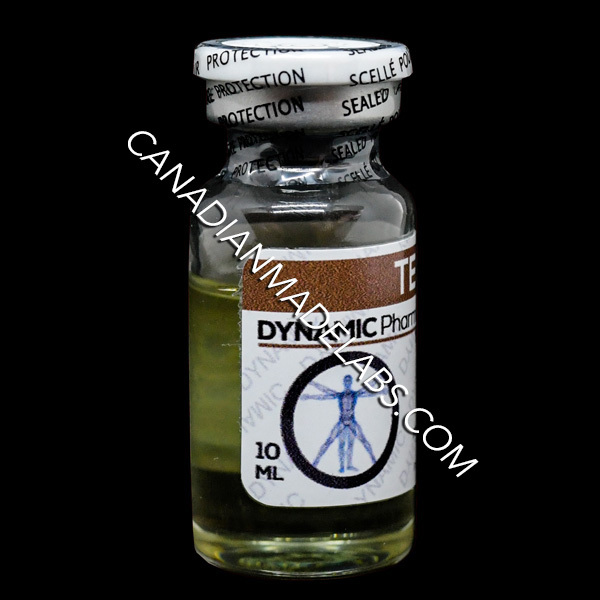 Testosterone Propionate is the primary medicinal testosterone. As a large ester base compound, Testosterone Enanthate carries with it a significant half-life that allows infrequent injections to be applied far less frequently than compounds like Testosterone Propionate or ester free Testosterone Suspension. In a therapeutic setting, Testosterone Enanthate is most commonly used to treat androgen deficiencies such as low testosterone. When you suffer from low testosterone this simply means your body is no longer producing enough of this essential androgen on its own. 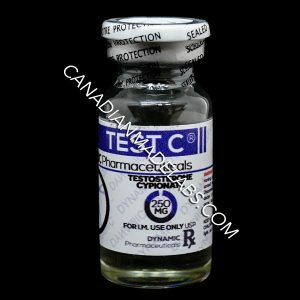 In order to provide what the body needs and exogenous form must be applied and Testosterone Enanthate is simply testosterone, it is the perfect remedy. Compounds like Testosterone Enanthate have also proven useful in treating muscle wasting conditions, osteoporosis vaginal bleeding and metastic breast cancer. However, in Western medicine especially in the US, androgen deficiencies remain the primary cause for therapy. The effects of Testosterone Enanthate can be summed up best when dealing with the performance enhancement. This is the most common testosterone used by performance enhancing athletes. Not only is it extremely well tolerated by most healthy adult men, it is extremely versatile and it supplies through the roof. Testosterone Enanthate could be used successfully for any cycle. By its natural mode of action, it will enhance protein synthesis and nitrogen retention, increased red blood cell count and IGF-1 output, as well as inhibit glucocorticoid hormones. Through these actions which are promoted by high testosterone levels, the anabolic atmosphere is perfect for any cycle. Without question, Testosterone Enanthate is one of the best bulking steroids of all time. Significant increases in mass and strength are commonplace and by the metabolic enhancement how levels will provide less body fat is gained. During the cutting phase when the individual is in a calorie deficit, higher testosterone levels will greatly protect the hard-earned muscle tissue that would otherwise be a risk. Further, and once again due to the metabolic enhancement provided by high testosterone levels, the fat-burning efficiency is enhanced. 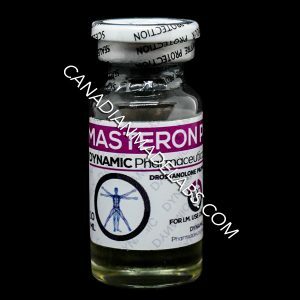 While these are fantastic traits that can be provided by Testosterone Enanthate, all who supplement will enjoy an improve rate of recovery, as well as enhance muscular endurance. When it comes to performance enhancement, these may in fact be the most important traits of all. The side effects of Testosterone Enanthate will strongly revolve around excess estrogen in the compounds strong androgen in nature, as well as cholesterol. Those supplementing with therapeutic doses will rarely have an issue. In such cases while side effects are possible they are unlikely as the individual is merely replacing what he is lacking. When we enter into performance or super physiological doses, this is where side effects can prove to be the most problematic. However thankfully this is still just testosterone, and most healthy adult men can tolerate fairly high levels if proper practices and lifestyle choices are followed. The primary estrogenic side effects of Testosterone Enanthate in men that include excess water retention and gynecomastia. The excess water retention can also promote high blood pressure if it’s allowed to get out of control. These effects are due to the testosterone hormones ability to convert to estrogen through the aromatase enzyme. For this reason, anti estrogens are commonly recommended. You have two choices when combating estrogen: selective estrogen receptor modulators commonly referred to as SERMs or aromatase inhibitors commonly referred to AIS. AIS will be the most effective as they directly inhibit the aromatase process, and even reduce the body’s total estrogen levels. Unfortunately they can also have a negative impact on cholesterol. Testosterone can also have a negative impact on cholesterol and with an AI this can be an issue for some men. Then we have SERMs – they will greatly protect from gynecomastia for a lot of men. However, they will not do a lot for water retention. Water retention can be controlled without an AI, and SERMs won’t affect cholesterol making them a great choice if water retention can be controlled. Unfortunately a lot of men won’t be able to pull this off and will meet an AI. As for the androgenic side effects of Testosterone Enanthate, they are promoted by the testosterone hormones ability to reduce to d-hydro testosterone through the 5-alpha reductase enzyme. This can promote acne, accelerated hair loss and those predisposed to male pattern baldness and body hair growth. However such effects are strongly genetically dependent, but some men may need a 5-alpha reductase inhibitor such as Finasteride in order to combat them. Regardless of your reason for use, Testosterone Enanthate will suppress natural testosterone production. When we provide exogenous testosterone the body has no need to manufacture its own. For the low testosterone patient this is of no concern, such an individual is already lacking sufficient production and then we’re left with the performance athlete, and once he discontinues use in all exogenous hormones have cleared the system, natural testosterone production will begin again. This will not occur overnight and most are encouraged to implement a post cycle therapy plan once use has come to an end. Such a plan will stimulate natural testosterone production greatly speeding up the healing process. It will not return your levels to normal on its own but it will provide you enough testosterone for proper bodily function while your levels continue to naturally rise. It is important to note testosterone recovery assumes no damage was done to the HPTA during use through improper practices and that no prior low testosterone condition existed. For therapeutic treatment, Testosterone Enanthate doses will normally fall in the 100 to 250 milligram every seven to fourteen day range. In extremely rare cases the dose may be increased. Further some physicians may stretch administration frequency beyond the 14 day mark but this is highly inefficient if levels are currently stable. 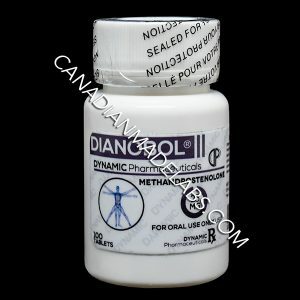 In performance-based circles, 250 milligrams per week is very common when Testosterone Enanthate is simply used to combat suppression caused by other anabolic steroids. 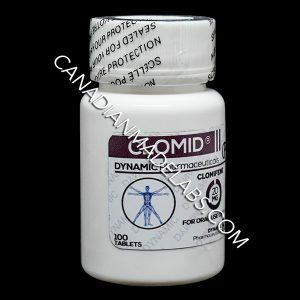 When it is used to directly enhance performance, doses will normally fall in the 500 to 600 milligram per week range. Such doses are well tolerated by most men. Higher doses are also tolerated well by some men, but such levels will increase the risk of side effects that caution is advised. When it comes to the total duration abuse there really isn’t a set timeframe. Testosterone Enanthate can be used for an entire cycle. Many steroids can only be safely used for a set number of weeks in a total cycle, but Testosterone Enanthate can span the entire time frame and for stacking it will stack well with all anabolic steroids. Please we urge you to contact your physician and do thorough research before starting any type of diet, exercise program, supplement program, drug therapy or if you feel that you may have an existing medical condition. The information presented here should not be considered medical recommendation in any way. Legal issues regarding anabolic steroids, growth hormone, and other performance related drugs vary from state, province and country. If these drugs are illegal according to the laws governing, please do not engage in their use.